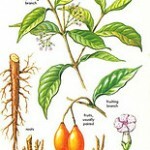 Michelle and Ibogaworld team, I want to send my sincere thanks for your expert advice and high quality ibogaine ta. After a heroin addiction for two years, I was put on methadone 80mg daily. I took that for almost a year and a half, and decided that daily methadone is as addictive and as bad as the heroin was for me. I had done Ibogaine in Mexico for the heroin addiction which I later found out that I was undertreated. I had been dealing with post acute withdrawal from the methadone, after two months of a daily struggle, physically, emotionally and spiritually. I decided to order ibogaine from Ibogaworld. Any relief would have been great. But my expectations were surpassed. I am sleeping thru the night, no more chills, sweats, fatigue, anxiety. I am so happy that it seems to have really done what Ibogaine is said to do. My sincere thanks to Michelle and the team at Ibogaworld for being legit and most helpful thru this process. I would highly recommend them to anyone suffering from addiction and or PAWS.